ABSTRACT: This paper deals with the contraction/expansion phenomenon in viscous flow under streamlining of bodies. The use of simple hydraulic methods and early proposals [1-4] serves to decompose the problem. It is widely accepted that the external streamlining problem may be solved with the analytic functions, ideal fluid and viscous boundary layer theories as well as the virtual mass and bound vortex models. 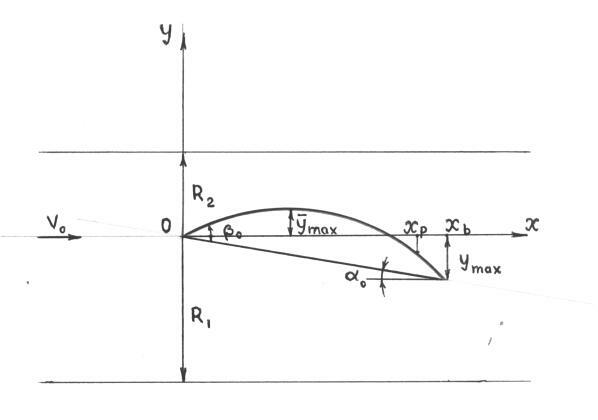 At the same time, the bound vortex model (Kutta-Joukowski) supposes that a finite velocity exists at the back sharp edge but the forward edge must be smooth for passing boundary streams from the lower side of wing profile to the more convex upper side, according to the Magnus' phenomenon. Fixation of the separation point at the back sharp edge by the Joukowski-Chaplygin condition allows the circulation value to be found. where = attack angle; = differential of lifting force coefficient; = constant of drag resistance coefficient considered for this approach . At the present time we have only limited evidence of development of these early proposals regarding power interaction. Having received numerous experimental correlations of power interaction of non-circulation separated flow under great angles of attack, we can see that the prevailing share of impulse (Newton's) component into drag resistance and lifting force [1-8]. So, drag resistance of struts, wires and building long-ware inclined to the wind direction, depends on the function [7,8]. 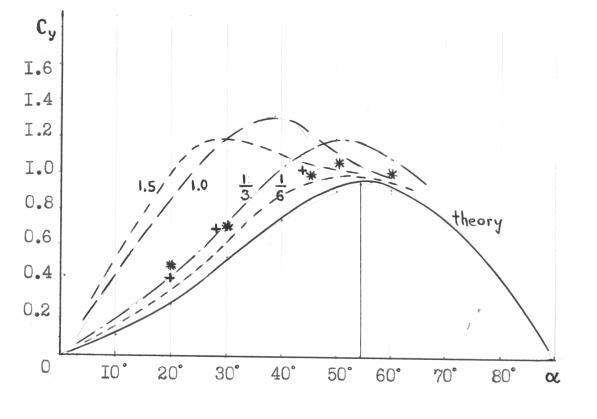 Yet Eiffel's experiments with plates in air flow stated that the share of impulse component of lifting force increases under lengthening plate along the wind direction (fig.1). Perhaps, such an approach of the experimental curves to the theoretical function can be explained by a decreasing influence of the unequal conditions of streamlining and local attack angles of the boundary streams. Moreover, for finding a "pure relationship", it was suggested to equip testing plates with stream-forming longitudinal stabilizers and the upper stream-separating edge (fig.2). By means of equal influence of local attack angles and equal area of separation at such condition we could show a better correspondence with theoretical function. On the other hand, the lifting force of the plane long wing equipped only with the upper stream-separating edge for the constant area of separation under great angles of attack corresponds with this function too. We have shown the confirmative results also in the previous paper . To analyze the components of aero-hydrodynamic forces it seems like a reasonable way to determine the pure relationships without any shares of the accompanying factors or to take them into account and to level their influence. To evaluate a possibility and origin of lifting force for an endless segmentary wing profile under attack angle we consider a typical scheme (fig. 3). In this case the forward sharp edge divides the running flow into two parts: upper and lower. Obviously, the upper part of flow undergoes more intensive contraction by more convex side of the profile. The maximum degree of contraction is observed near the maximum deviation of boundary streams but after this we can see an expansion of flow and some zone of separation. Contraction of the lower part of flow is less intensive and the maximum comes at the back sharp edge with the deviation . It is necessary to note the connection between the internal streamlining and external one is established with the influence radius. In fact, experimental data indicate that we have the immutable flow at some midship diameter distance from profile’s surface. There are immutable aero-hydrodynamic parameters (pressure, velocity) out of the influence radiuses. Like the peculiar ring contraction considered before in  also the 2D flow around profile can be imaged as two 2D contractions between the influence radiuses (R1 for lower side, R2 for upper side) and the head surface of the profile. By this mean the external aero-hydrodynamics problem transforms into the internal problem. Then solving can be found with simple hydraulic methods. +++ plane wing with the stream-separating edge. Fig 2. Square plate with the stream-forming equipment. Fig.3 Scheme of profile influence. A position of the separation point on the upper side may be found by analysis of the energy balance of boundary streams under the energy accumulation when and the energy deliverance when . But this supposition needs to be accompanied with representative experimental data. - In order to provide adequate experimental relations for influence of general attack angle, profile shape and contraction degree it is necessary to take into account the local changes of boundary streams trajectories and their local power interactions with flow. 1. Betz A. Aerodynamics.- Oborongiz Publ., 1940, Moskow (transl. from German). 2. Shandyba A.B. Hydraulic Resistance of Bodies in Water Flow.- BWW Journal, May-June issue 2002, N3, USA. 3. Fedyaewski K.K. Application of the circulation-separation theory for short wings and steering rudders.- Ship building Publ., 1973, Leningrad (in Russian). 4. Wienhardt T. Uber Antriebsverteilung des einfachen Rechteckflugels uber die Tiefe.- ZAMM, 1939, Bd.19, H5. 5. Eiffel G. La resistance de l’air.- ZFM, 1910, N8. 6. 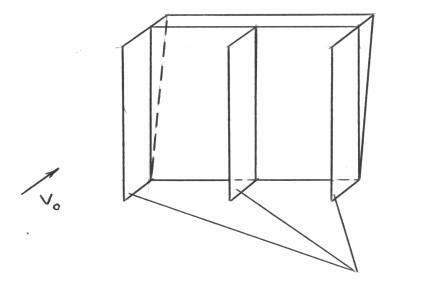 Lawrence H. The Lift Distribution on Low Aspect Ratio Wings at Subsonic Speeds.- IAI, 1951, vol.18, N10. 7. Thurston A.P. The resistance of inclined struts in a uniform air current.- Aerodynam. Journal, 1915, XIX, N7. 8. Relf E.F., Powell C.H. Tests on smooth and stranded wires inclined to the wind direction.- ACA, 1916/17, Rep. N307. 9. Numerical Methods in Fluid Dynamics, 1978, Editors: Wirtz H.J., Smolderen J.J. - von Karman Institute of Fluid Dynamics, Rhode-Genese, Belgium.- Hemisphere Publ. Dr. Alexander Shandyba is Assistant Professor of Safety Vital Activity at Sumy State University and heads a research group at New Technology Institute. He has devised numerous projects and is the author of 60 technical papers and inventions (see Hydraulic Resistance of Bodies in Water Flow, May-June 2002 issue of this Journal). Dr. Shandyba is also a Member of the publishing board of the Mechanical Engineering Journal.